This edition of MRM New Bites includes a Grilled Cheese Showdown, a restaurant that plans to pay homage to ancient cooking techniques, the faces of beer and a “road trip” concept. Send news items of interest to Modern Restaurant Management magazine’s Executive Editor Barbara Castiglia at bcastiglia@modernrestaurantmanagement.com. 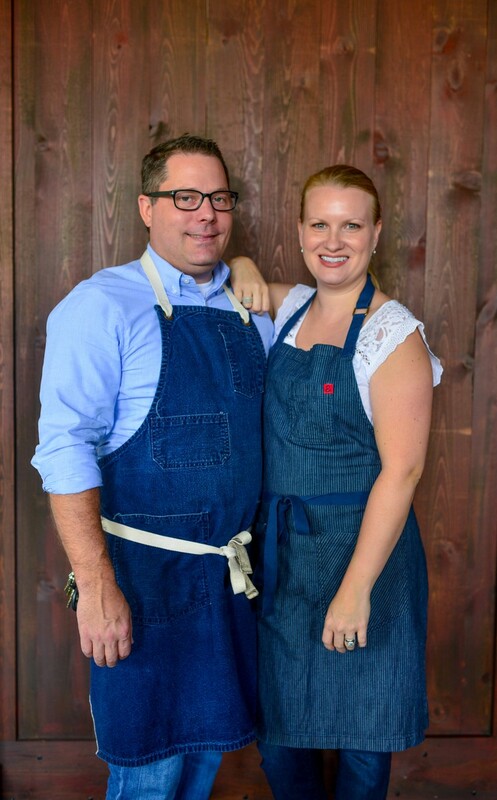 Following their successful partnership on the original rye, Chef Colby Garrelts and his wife, James Beard Foundation Outstanding Pastry Chef semifinalist nominee Megan Garrelts, launched The Plaza location with Jeff and Joy Stehney, proprietors of Joe’s Kansas City BBQ. The new venture retains the same designer, John O’Brien with Hammerout Design, to create a similar feel and energy encompassing the dual nature of rustic refinement, a space comfortable to enjoy every day as well as to celebrate special occasions. Design details such as original, local artwork adorn the walls and exposed, rough-hewn wood echo the menu’s ability to recreate familiar flavors in food driven by quality technique and local product. Located just south of downtown in Country Club Plaza, or ‘The Plaza’ as it is locally known, rye on The Plaza features the Midwestern flavors and design elements as the original Leawood, KS location. Rye on The Plaza is helmed by Executive Chef John Brogan and will open with lunch and dinner service before launching breakfast and brunch. Brogan, who joins rye on The Plaza following leading the kitchen at the Leawood rye location, creates a menu in collaboration with Chef Colby Garrelts, featuring local favorites and such nationally recognized dishes as the Burnt Ends & Sourdough Toast showcasing KC-style smoked brisket, pickled celery, and rye BBQ sauce; Shrimp & Grits with Anson Mills cheddar grits, pulled pork, and scallion; and the famous Fried Chicken served with housemade pickles and ham gravy. Inspired by the nostalgia of ice cream shops, soda fountains, and campfire adventures of youth, Pastry Chef Megan Garrelts teams up with rye on The Plaza Pastry Chef Keara Masson, who oversees production for both locations’ celebrated desserts. Known especially for their pies, rye features classic flavors and rotating seasonal options. General Manager Jeremy Lamb brings his expertise to the opening of rye on The Plaza. Having served as head of the Front of House for both Bluestem and the Leawood location of rye, Lamb cultivates the effortless service guests have come to expect from Garrelts’ establishments. Executive Chef John Brogan leads the kitchen of the new location of rye, as he did at the Leawood original. As an integral member of both Bluestem and rye, Brogan has worked in locked step with Chef Colby Garrelts to develop rye’s signature flavors and dishes. As part of the opening leadership team for rye on The Plaza, Lamb and Brogan pass onthe torch to the recently promoted leadership team for the Leawood location, General Manager Vincent Corpuz and Executive Chef Ryan Williams. Bluestem’s Bar Manager Andrew Olsen oversees the beverage program. Olsen’s cocktail list incorporates timeless classics as well as the inspired twists. The 7,000+ square foot restaurant features a large bar for gathering with friends and casual dining, while the main dining room seats a total of 120 guests. Two private dining rooms provide for flexible gathering spaces for corporate events, wedding rehearsals, family celebrations, and more. Private Event Coordinator Susan Kane facilitates dynamic events with several menu formats ranging from appetizer selections, plated dinners, buffet, family-style, or custom options and featuring wines selected by General Manager Jeremy Lamb and cocktails from Bar Manager Andrew Olsen. Pain d’Avignon was founded in 1992 on Cape Cod by a group of childhood friends. 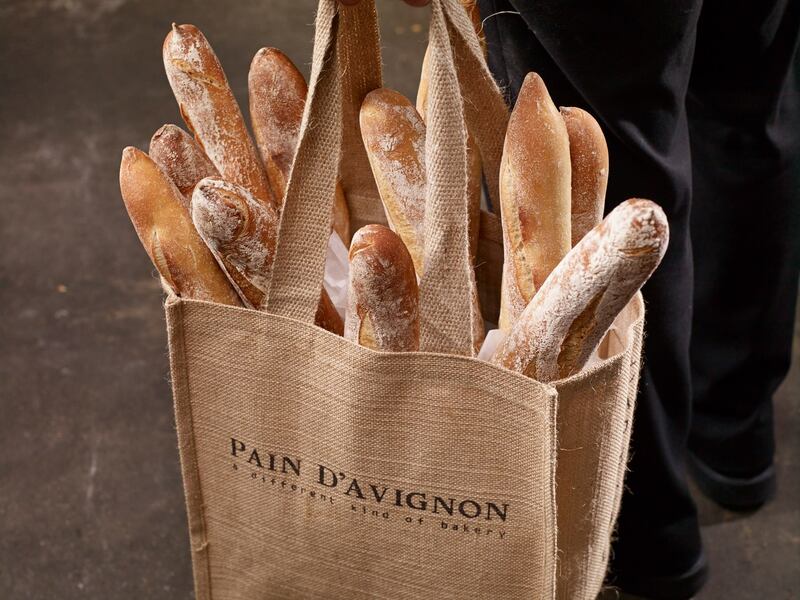 In the following years, Pain d’Avignon became one of the leaders of artisan bread making on the East Coast. The concept expanded to New York City in 1999 and soon became one of the favorite purveyors for fine breads among the city’s top chefs. But the owners always dreamed about opening a retail bakery like the ones of their childhood memories in Europe. 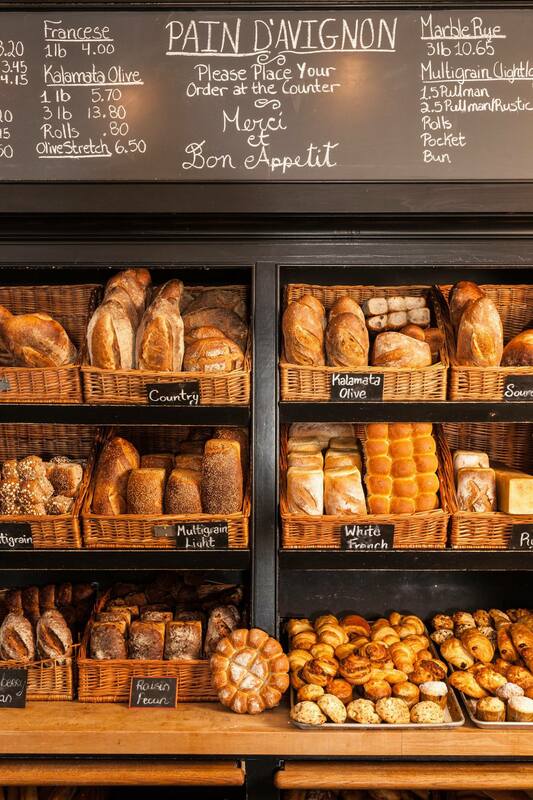 They wanted to re-create a store where the bread is made, baked and sold daily. In 2012 they opened the first café in the Plaza Hotel Food Hall and Café d’Avignon was born. The Brooklyn location will be the company’s second retail store. “We’re confident Brooklyn is the perfect market to reach customers who share our passion for artisan breads and specialty coffee. Our new store will continue to carry on our existing brand’s values; fresh, simple and honest food made for customers in front of the customers. There are a lot of great coffee shops in the city, but usually their food is not of the same quality. And vice versa, there a lot of great bakeries but with not such good coffee. Our coffee is good as our breads, and our sandwiches are good as our coffee.” said Uliks Fehmiu, president of Café d’Avignon. Café d’Avignon’s menu includes sweet and savory pastries, breakfast and lunch sandwiches, quiches, and afternoon snacks, with the Brooklyn location offering a limited dinner menu. Authentic French bistros dishes like the Croque Monsieur or Quiche Lorraine are customer favorites as well as ham & gruyere croissants and pain au chocolates. Drawing its name from the iconic fences that spread across America’s heartland, Chef Zoe Schor’s Split-Rail celebrates Americana, both its cuisine and culture. Formerly the executive chef of DMK Restaurants’ Ada Street, Chef Schor realized her dream of owning her own restaurant after finding an ideal venue in West Town, housed in a former donut factory. “There is such a great community of restaurants in this neighborhood, so we’re thrilled to be a part of it,” says Schor. She brings some of the city’s brightest talent to her team, with Michelle Szot as general manager and Michael Knutson as chef de cuisine. Split-Rail’s menu focuses on nostalgic fare that evokes a sense of comfort but Schor’s use of modern technique and local, seasonal ingredients help reimagine these childhood favorites for Chicago’s contemporary diner. A standout on the menu, the loaded baked potato gnocchi elevates the classic dish with fresh potato gnocchi, house bacon, sour cream, Hook’s five-year cheddar, and crispy potato skins. A necessity on a holiday potluck menu, green bean casserole gets a refresh with crispy local green beans, oyster mushrooms, house-fried onions, and fresh herbs, while every picky eater’s standby chicken nuggets are served with a house-made honey mustard. On the sweet side of things, a very Midwestern dessert called Aunt T’s Pretzel Surprise draws inspiration from a family recipe that usually includes an unorthodox combination of Jell-O, Cool Whip, and pretzels that Schor replaces with panna cotta, strawberry/pineapple gelatin, and pretzel streusel with flavors that are just as surprising as the original. Crafted by General Manager Michelle Szot and team, Split-Rail’s cocktail menu features rotating, seasonal drinks, low proof/no proof cocktails, and riffs on classics. Each cocktail’s name ties back to classic Americana through cultural or historical reference. The low-proof Freedom From Want refers to a famous Norman Rockwell painting and combines elderflower liqueur, gentian liqueur, grapefruit, and cinnamon tincture with a rosemary garnish while the Operation Paperclip (a reference to a bit of post WWII history) riffs on a Martinez cocktail with lapsang souchong-infused vodka, dry vermouth, Punt e Mes, and maraschino. Zoe Schor curates the wine list herself, focusing primarily on American wines with a large spread of old world wines as well as some more unconventional wines. A special focus Split-Rail takes into account is guests’ dietary restrictions and allergies. Chef Schor has a nut allergy, so her goal was to make the restaurant a safe space for anyone with a similar allergy or dietary restriction. The restaurant is completely nut-free and offers separate vegan, vegetarian, and gluten-free menus for guests as well as flexibility for guests who may be allergic to a component in a dish. Split-Rail is housed in the former home of Clyde’s Donut Factory, so most of the space’s industrial elements like exposed brick and ceiling beams are preserved in its design. Reclaimed items like ornate iron doors and American art salvaged from a local pawn shop adds to the vintage feel of the space while oriental rugs and brightly patterned banquettes creates an inviting atmosphere. Large windows flood the restaurant with natural light while drop bulb lights provide a gentle glow during the evening. A fixture in the restaurant is its raised open kitchen which looks out on the dining room and features a large chef’s table that serves a unique tasting menu. The dining room itself seats 60 while a decorative metallic bar seats 15, and the private dining space seats 30. Chef Schor and her team share a special passion for music and art which plays a large role in the restaurant. They have amassed a collection of records that rotate some of their favorite artists, ranging from Bruce Springsteen and The Rolling Stones to Ella Fitzgerald and Florence and the Machine. The team also promises the Dirty Dancing soundtrack will be in heavy rotation. 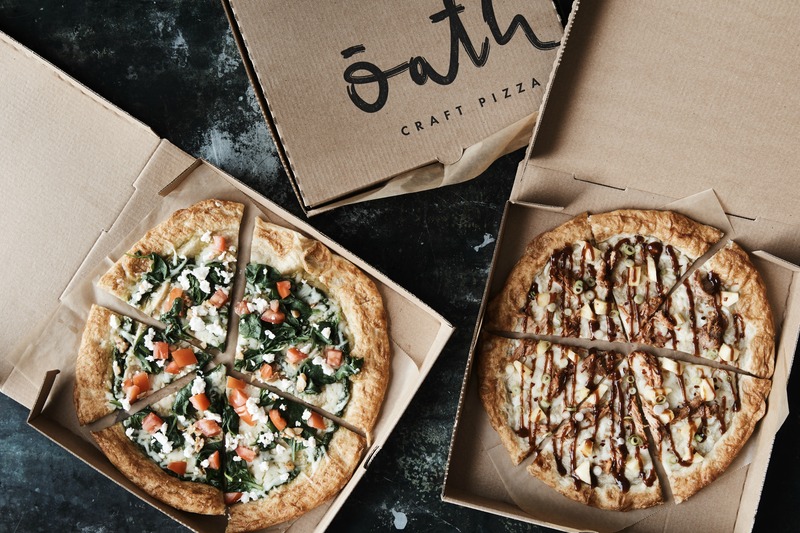 Oath Craft Pizza, the fast-casual pizza restaurant with its proprietary pizza crust and sustainably sourced toppings, has raised $7M in a series B funding round led by Boston-based venture capital firm Breakaway Ventures. With this funding, the pizza restaurant has raised a total of $16M since its inception in 2015. The most recent funding news comes as Oath Craft Pizza announces plans to expand on the East Coast with the opening of additional locations in 2017, including their first restaurant outside of the Boston area, which will open later this fall in the D.C. 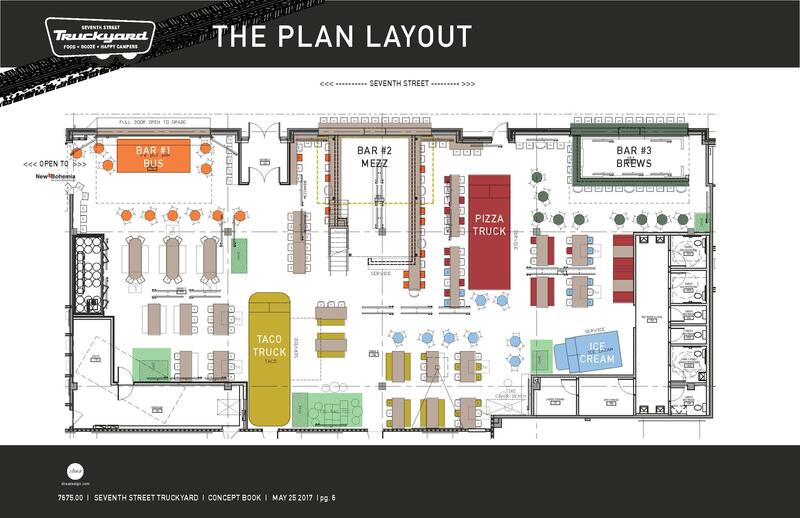 area., inside the Mosaic District, an upscale shopping and dining complex in Fairfax County, VA.
Oath Craft Pizza’s next Boston area restaurant opening later this summer will be located in the Central Square neighborhood in Cambridge near MIT’scampus [181 Massachusetts Avenue]. The Central Square restaurant marks their sixth location, joining four existing Boston area restaurants as well as the original location in Nantucket. This fall, Oath Craft Pizza will also open a new restaurant in the heart of the Fenway neighborhood of Boston [1350 Boylston]. Beyond these three new locations, the company has plans to continue its growth throughout Boston and around the East Coast with possible additional shops opening within the next year, and is also moving into a larger new office space in the Sears Crescent Building, a historic brick-and-beam office located on Boston’s City Hall Plaza, this August. Founded in November 2015 with a small shop in Nantucket and a trade secret pizza crust recipe, Oath Craft Pizza has gained a following in the region for its proprietary crispy thin crust pizzas made with 100% pure grain North Dakota Mills Flour that are grilled and seared in pure avocado oil, and for its innovative menu of chef-driven savory and sweet pizzas made with fresh, sustainably sourced ingredients. Beyond its pizza, Oath is committed to serving the communities they are in by supporting local causes and events. While Oath Craft Pizza continues to grow, it is deepening its commitment to offering sustainably sourced food. The company has just received Humane Farm Animal Care’s (HFAC) Certified Humane® approval, certifying that its toppings are sourced from farms that meet the program’s standards of ethical and humane animal treatment. Working with farms such as North Country Smokehouse and Pederson’s Natural Farms, Oath Craft Pizza is the first pizza brand to receive the designation. “Since the beginnings of Oath in 2015 our goal has been to transform fast casual through great food coupled with a unique business model applying a small footprint multi-format approach. We have made great progress and since Patrik’s joining late last year, we are now materially accelerating under his leadership,” says John Burns Oath Chairman and Breakaway CEO. Chopt Creative Salad Company is partnering with Sea to Table® to supply wild-caught shrimp from U.S. waters to all forty-four Chopt locations. 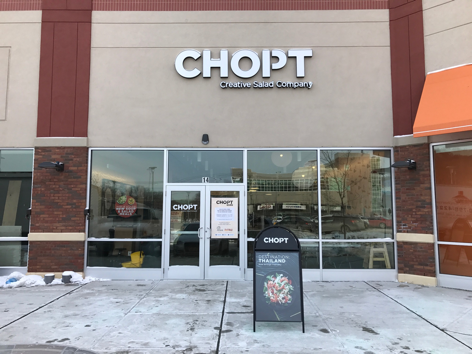 Chopt is passionate about discovering new flavors and ingredients and is constantly searching for the best food sources for its customers and for the environment. With this belief, Chopt has partnered with Sea to Table. Sea to Table has spent years developing relationships with fishermen and docks, supporting traditional American fishing communities on every U.S. coast. With this commitment to sustainable seafood, Chopt has also become a recognized member of Seafood Watch, the most credible source of sustainable seafood information in North America. Coming this summer, one of St. Paul’s premier food & beverage districts will welcome an all-new concept, Seventh Street Truckyard, that aims to become one of the area’s go-to destinations for its fun and funky, take on food, booze and atmosphere – stockpiling the best of the great American road trip – and bringing it all indoors. 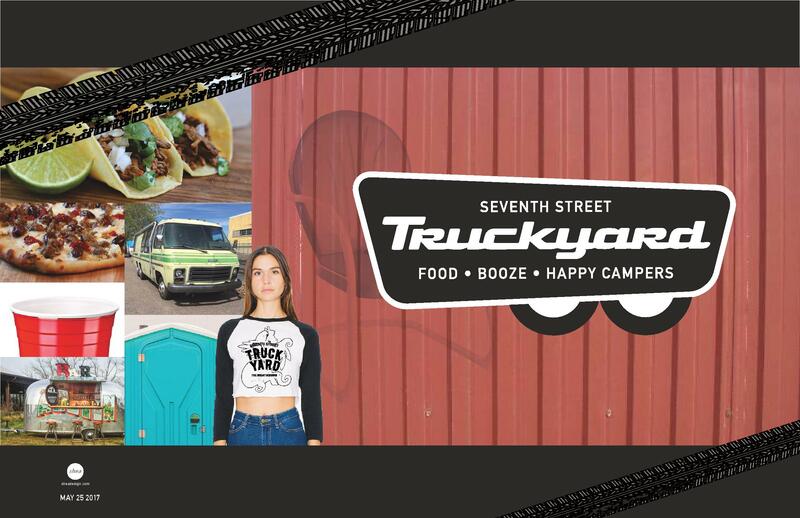 Seventh Street Truckyard plans to open this August. The great American road trip is what dreams are built upon, a quirky rite of passage that allows people to hit the open road, sit under the stars, get lost in an amazing soundtrack and experience the people, restaurants and bars that each city claims as “locals joints.” Seventh Street Truckyard is bring all of that, and a whole lot more, St. Paul this summer as part of its all-new concept, brought to life behind the creators of New Bohemia Wurst + Bierhaus. The concept was brought to life by M5 Management, the parent company behind New Bohemia Wurst + Bierhaus, one of the fastest-growing and highly regarded concepts in the area. M5’s executive team traveled around the country, making it their mission to discover the fun, offbeat and slightly different restaurants and bars that make each city tick. In colloboration with locally-based Shea Design, they are now brining those experiences back to St. Paul. “We have all these iconic, classic vehicles that we are retro-fitting to be full-service kitchens, campsite-style seating arrangements, live music, delicious food and cocktails, all presented within a really fun and welcoming atmosphere,” said Ingram. “We are attempting to recreate the ultimate, communal campsite for the people of St. Paul and Minneapolis and can’t wait to open our doors this summer. Birdsong will open in the former AQ space in San Francisco this winter. Executive Chef and Owner Chris Bleidorn, whose previous experience includes Saison, Atelier Crenn, Benu and Alinea, will pay homage to cooking techniques of the past, with a playfully refined and thoughtful menu that highlights the connection between city and nature. Diners will choose between a 12-course tasting menu with optional wine pairings or an à la carte menu featuring dishes that can be shared with the entire table, like whole roasted aged duck, lamb shoulder and whole trout. In addition to wine pairings offered with the tasting menu, the restaurant will feature an extensive collection of classic European wines from benchmark producers, and exciting selections from the Pacific Northwest. Beer from the region will also be a focus, particularly highest quality craft beers from Oregon, Washington and British Columbia. Birdsong’s aesthetic celebrates San Francisco and the connection between city and nature. Bleidorn and team are working with award-winning Los Angeles and Washington DC based design firm, SAINT (Studio for Architecture & Interiors) to redesign the space. The restaurant’s main focal point is the open kitchen, which allows diners to fully experience all aspects of the restaurant. 10 seats line the chef’s counter that overlooks the kitchen, and banquette seating will fill the remainder of the dining room. Two private dining rooms that seat 14 and 30 diners, respectively, are located below the main dining room. Custom ceramic plateware, personally designed by Bleidorn, is marked by smooth lines and a pastel palette inspired by fresh farm eggs. Bleidorn grew up in New England and remains inspired by that region’s cuisine, which is highly reliant on its seaports and dairy farming. After living in California for many years, he started seeing similarities between the two regions. With Birdsong, he intends to merge the flavors of his childhood with those of local and wild ingredients native to the West Coast. The name ‘Birdsong’ is a subtle reference to nature’s inherent balance. B irds are the first to inhabit new parks in urban areas and their song symbolizes revival, just as the restaurant is reviving forgotten cooking techniques. 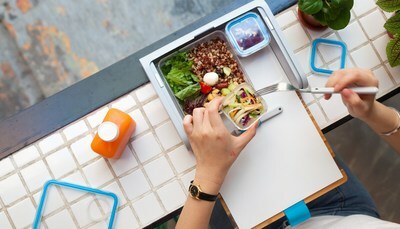 Elior Group has made contract catering accessible to employees of small and medium-sized companies (SMEs) with the creation of the first-ever connected restaurant: The Living Room. 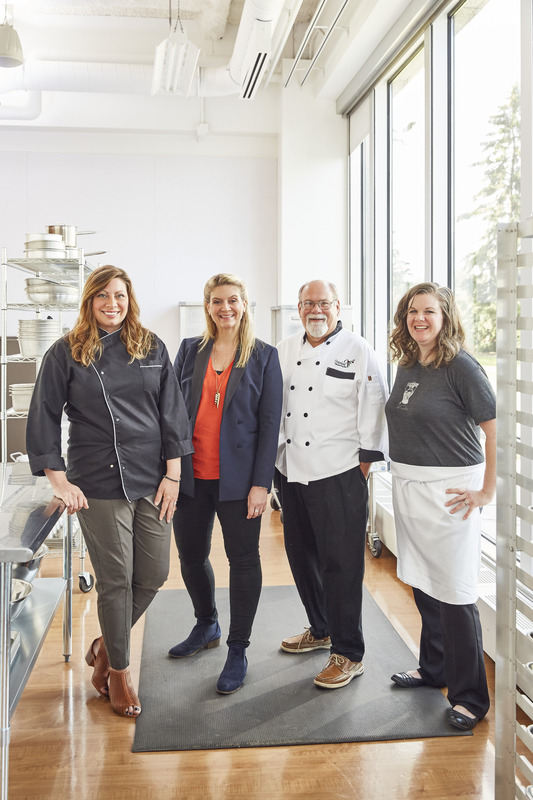 Until now reserved for large companies, access to contract catering services is being opened up to companies with at least 10 employees who, via The Living Room, will now be able to enjoy real business and industry catering offerings. In France, there are 140,000 companies with a staff of 10 to 250 employees; a market estimated at €7bn, of which €5.5bn in luncheon vouchers. With The Living Room, Elior Group is looking to meet the growing demand from SMEs seeking to benefit from the advantages of contract catering: providing healthy and quality meals that are prepared everyday by Group chefs at reasonable prices and can be consumed on-site in a more convivial setting, and which offer interesting tax breaks and a real reputation and talent-recruitment advantage for employers. To develop The Living Room as a small and medium-sized company catering offering, Elior Group used digitalization, last-mile logistics, connected object, online payment, etc. The Living Room also offers daily, after-lunch kitchen cleaning services. The Living Room’s connected restaurant also meets employers’ legal obligations to provide catering facilities for companies with more than 25 employees. 24 hours. That’s all Ritz-Carlton, Toronto Executive Chef Daniel Craig will have to complete a food tour across Canada – in one day. To celebrate Canada’s 150th, the Canadian-born chef will team up with Culinary Adventure Co. owner Kevin Durkee to eat his way across the country on June 21st. Philadelphia foodies and beer garden enthusiasts can look forward to grabbing a plate of Original Philly Cheesesteak Rolls and a cold “Philly’s Winner Yards Saison” from Yards Brewing Company, an exclusive house draft from Fishtown Hops, the city’s newest summer hot spot. The garden’s first-class food and beverage menu, to be enjoyed along with Delaware River views and free parking, debuts Thursday, June 22. Located on the riverwalk behind SugarHouse Casino, Fishtown Hops will offer selections of canned and draft ales and IPAs from regional breweries including Saint Benjamin, Evil Genius and Dock Street, to name a few. The food menu offers a wide variety of plates, from popular bar bites to unique takes on some Philadelphia staples. The custom dishes are prepared with fresh ingredients and aptly portioned for sharing among friends. Specialty items include Pulled Pork Fries, Candied Bacon (which features smoked bacon marinated in bourbon and caramelized in a brown sugar glaze) and Mac ’n’ Cheese Crab Bites, (jumbo lump crabmeat meets fried mac ’n’ cheese — all topped with Cajun remoulade and Old Bay seasoning). Guests looking for a zesty, Mexican fix can take their pick of Cajun garlic shrimp or Jerk chicken tacos, served with Cajun cumin sour cream. Those wanting to savor the best of Philly can munch on Layered Cheesesteak Nachos and Original Philly Cheesesteak Rolls, which come with homemade shaved ribeye, sautéed onions, American cheese and spicy ketchup — it’s classic Philly in a new form. The eats accompany a bar serving up local brews and craft cocktails. Craft beer lovers will enjoy the Wit or Witout (Saint Benjamin), I Love Lamp (Evil Genius) and No Exit (Dock Street). Philadelphia ties continue with original cocktails including the Front Street Mule, which combines Penn 1681 Vodka, ginger beer and tangerine Red Bull and the Fishtown Gin & Juice, a blend of Bluecoat Gin, honey simple syrup, bitters and orange juice. “There’s no better place in Philly to watch the summer sunset than our riverwalk with a cold beer in your hand,” said Wendy Hamilton, general manager of SugarHouse Casino. Traditional beer garden tables line the riverwalk so guests can eat and drink riverside, while taking in views of the Ben Franklin Bridge. Adirondack chairs circle fire pits and provide the perfect lounge area for sipping summer brews. In addition to the Fishtown Hops menu, a rotating list of food trucks will be on-site offering guests fast and easy service in between games of corn hole and shuffleboard. 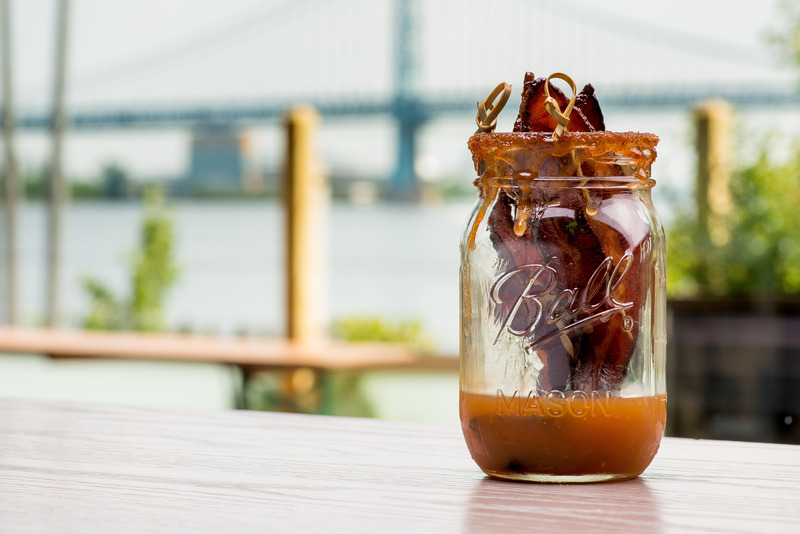 The opening weekend schedule will feature Philadelphia favorites Farm Truck (June 22), Revolution Taco (June 23), Foolish Waffles (June 24) and Phoebe BBQ (June 25). Fishtown Hops is a design of Groundswell Design Group, the creative force behind other Philadelphia hot spots such as Talula’s Garden and the Delaware River Waterfront Corporation’s Spruce Street Harbor Park. The revolving food truck schedule, as well as live music and DJs, will be programmed all summer long by Mole Street, Philly’s own experiential marketing and music booking agency. “We are thrilled to be a part of the growing beer garden community in Philadelphia by bringing quality music and the best of the food truck scene to Fishtown Hops,” said Brian LaPann, principal of Mole Street. General Mills Foodservice announces that Jennifer Shearer, co-owner of Press Bistro in Johnstown, Pennsylvania is the Grand Prize Winner in the 3rd Annual Neighborhood to Nation Recipe Contest, celebrating independent family or “neighborhood” restaurants and the one-of-a-kind dishes that reflect their local flavor. Celebrity Chef Amanda Freitag of Food Network’s “Chopped” made the announcement today at General Mills’ headquarters in Minneapolis, where the top three Recipe Winners gathered for a full day of festivities to celebrate their award-winning dishes. As the Grand Prize winner of the Neighborhood to the Nation Recipe Contest, Shearer receives a $50,000 prize package ($40,000 cash plus $10,000 for a local charity of her choice). In addition, Amanda Freitag will pay a special visit to Press Bistro this summer. Shearer’s winning recipe, a variation of a classic Italian bread salad, showcases her ability to successfully meld different flavors and cuisines. Using Gold Medal™ Honey Cornbread Mix, Shearer adds brown sugar and poppy seeds and grills the cornbread to make croutons that are tossed with strawberries, cucumbers, bacon bits, feta cheese, candied pecans, a drizzle of balsamic glaze and a garnish of basil and mint for a savory touch. The First Place Recipe Winner, who receives $15,000, is Michael Minden of Michael V’s Restaurant & Bar in Tulsa, Oklahoma for his Butterfinger® Cream Cheese Brownie Pie. 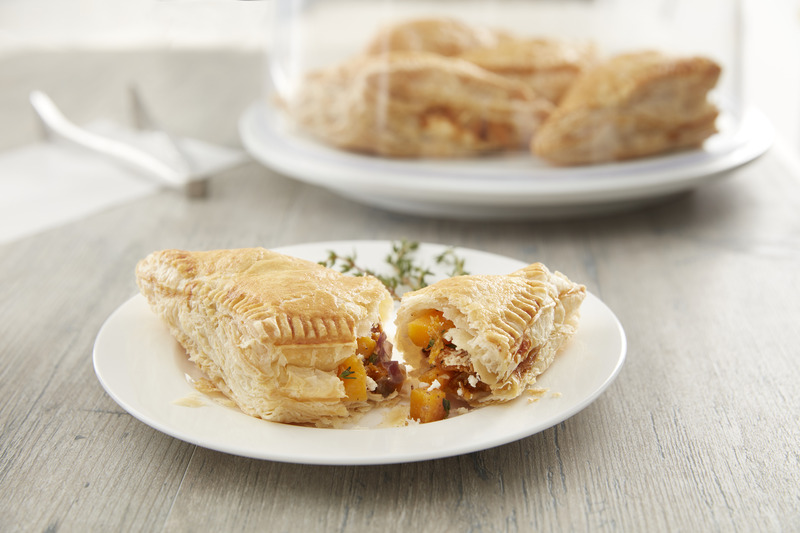 The Second Place Recipe Winner, who receives $10,000 is Carrie Hudson of West Egg Café, in Atlanta, Georgia for her Butternut Squash & Goat Cheese Turnover. To qualify for the Neighborhood to Nation Recipe Contest, restaurants from around the country submitted an original breakfast, entrée or dessert recipe using at least one ingredient from General Mills’ list of eligible products. The contest was open to foodservice operators, chefs and line cooks who develop and prepare recipes for menu items served at independent, commercial restaurants. Recipes were judged based on taste, appearance, creativity and foodservice viability. Neighborhood to Nation was created to inspire culinary creativity among independent restaurants, giving operators an opportunity to experiment with high-quality and consistent products from General Mills Foodservice, as well as exclusive access to trend information, insights and ideas to help them differentiate their menus and delight their diners. For more information on Neighborhood to Nation and this year’s winners, visit www.NeighborhoodtoNation.com. The James Beard Foundation (JBF) is challenging restaurants and diners nationwide to reach for a better burger this summer – a blended burger – which adds at least 25 percent earth-friendly mushrooms into the patty. The Blended Burger Project™ kicked off onMay 29 with more than 350 restaurants participating across 45 states, from fine dining to chain operators. Bareburger, whose NYC La Guardia Place location were winners of last year’s Blended Burger Project, have joined the competition again. This year the organic-focused, sustainable burger chain is serving its take on a blended burger at 33 locations across New York, New Jersey, Connecticut,Pennsylvania and Washington, D.C. Chefs from the five restaurants with the most customer votes will win a trip to the historic James Beard House in New York City to showcase their blended burgers at an exclusive event in January 2018. For the first time, to honor the diner’s important role in encouraging sustainable food choices at restaurants, one randomly selected voting customer will also win an expenses paid trip toNew York to take part in the event. Chefs and diners can learn more about participating at jamesbeard.org/blendedburgerproject. Over the past two summers, more than 500 restaurants have taken part in the Blended Burger Project, and burger fans cast more than two million votes for their favorite burger entries. In a special first-ever live judging event, classic southern flavors and Wisconsin cheese prevailed in the 2017 Grilled Cheese Academy Recipe Showdown. A panel of culinary experts tasted, deliberated and ultimately selected The Mississippi Comeback as the winner of the sixth annual competition. 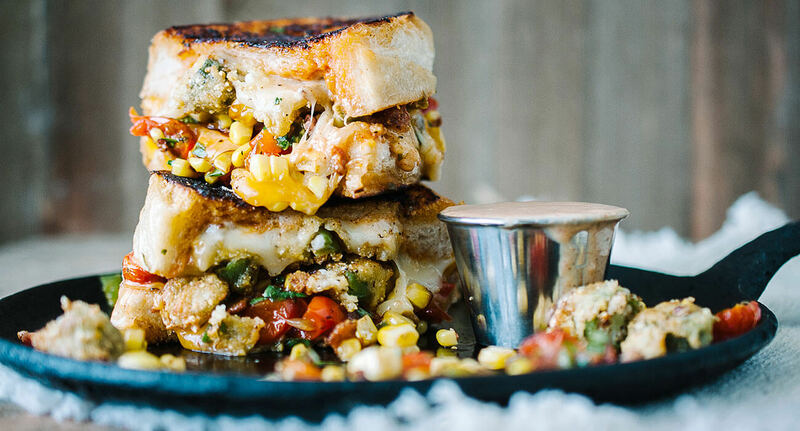 Created by Lorie Roach of Buckatanna, Mississippi, this inventive grilled cheese creation beat out over 1,600 entries from competitors from across all 50 states in the Grilled Cheese Academy’s most competitive showdown yet. The Mississippi Comeback expertly brings together Wisconsin cheese with classic Southern flavors. Sourdough bread is coated in tangy Comeback sauce – a Mississippi classic made with mayonnaise, chili sauce, lemon juice, mustard and spices. Wisconsin fontina and cheddar cheeses combine for the perfect combination of sharpness and creamy meltability, accented by bacon and corn confetti, roasted tomatoes and crispy fried okra. As the Gold Award winner, Roach will receive a $15,000 prize for her winning creation. The judges were wowed by the creativity of her sandwich, and how well the Southern ingredients complemented the cheese. The Silver Award went to the Seoul Food by Susan and Monica Greene ofRedondo Beach, California. They combined Wisconsin butterkäse, muenster and aged cheddar cheeses with coffee-spiked bacon jam and kimchi on a telera roll. The Mardi Gras by Shauna Havey of Roy, Utah, took home the Bronze Award. A homemade cheese spread made with Wisconsinmascarpone and mozzarella cheeses blended beautifully with olive salad, mortadella, ham, salami and Wisconsin provolone cheese on a ciabatta roll. Three additional sandwiches – The Elote, The Flying Pig and The Medianoche – were given Judges’ Choice Awards. These competitors will each receive$1,500, a Wisconsin cheese gift basket and be included in the 2017 Grilled Cheese Recipe Showdown Book of Champions. The judging panel also included Madison food blogger Alice Choi of Hip Foodie Mom, Milwaukee food and cheese writer Lori Friedrich, Chicago food blogger Kit of The Kittchen, Madison’s Melted Food Truck owner David Rodriguez, and cheese writer and educator Jeanne Carpenter. Presented by the Wisconsin Milk Marketing Board and Wisconsin cheese, the Grilled Cheese Academy Recipe Showdown asked contestants from around the country to create an original recipe for the best grilled Wisconsin cheese sandwich. Contestants were judged based on their recipe’s overall creativity, taste, presentation and use of Wisconsin cheese. 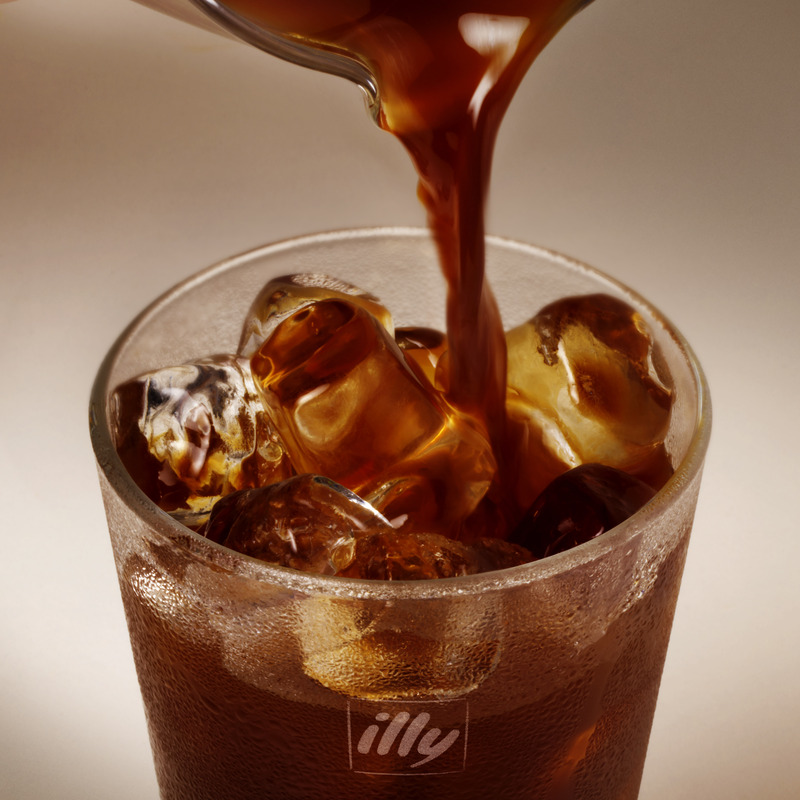 As cold brew continues to rapidly grow in popularity, illy caffè, introduced a cold brew coffee steeping pack for hotels, restaurants and cafés. Using only single origin Arabica beans from Brazil, an ingredient in illy’s signature blend that is ideal for cold brew’s flavor profile, the new illy cold brew packs contain 175 grams of coffee, expertly ground and precisely measured for cold brew preparation, and innovated with illy’s expertise and-industry leading quality standards. Each filter bag, designed for ease of steeping, with zero waste and mess during a 12-hour brewing process, comes in a high-quality vacuum-sealed pack to maintain ultimate freshness. Average anticipated yield per pack is 2.2 litres of cold brewed coffee. The Young Chef Competition launched in 2014 to recognize outstanding young chefs throughout the country. Selected candidates, between the ages of 22 and 28, and their assistants (ages 24 and under) compete in a 2 hour and 35-minute live cooking competition in front of a panel of esteemed chef judges, scoring on taste, presentation and kitchen organization. 2017 Young Chef and Commis competition winners will earn the coveted opportunity to stage with Team USA 2019. The second annual Commis competition also returns, in order to inspire those embarking on their culinary careers and to introduce more aspiring young cooks to the Bocuse d’Or. Candidates, who are under 21 years of age, will compete in an hour and a half live cooking competition and will be judged on excellence in overall taste, presentation and kitchen organization. The competitions are a great way for these young cooks to showcase their talents and skills before some of the most renowned chefs in the country, including ment’or founders, Chefs Daniel Boulud, Thomas Keller and Jérôme Bocuse. Candidates of both the Young Chef Competition and the Commis competition will be paired with mentors from the Foundation’s culinary council, including previous Bocuse d’Or Team USA representatives, to guide them throughout their training. Winners will have the choice of a cash prize or the exciting opportunity to work with Team USA 2019. Applications available on the ment’or website through Wednesday, July 19. Applications and additional details about the ment’or Young Chef and Commis Competitions can be found on the ment’or website and on Facebook, Twitter, and Instagram. Paris Site Furnishings presents their custom laser cutting solutions which allow intricate, custom designs on benches, waste and recycling containers, planters, bike racks, and other site furnishings. Precision laser cutting can be applied to standard Paris Site Furnishings products, reproducing customer-supplied graphics, logos and other imagery for a unique solution. 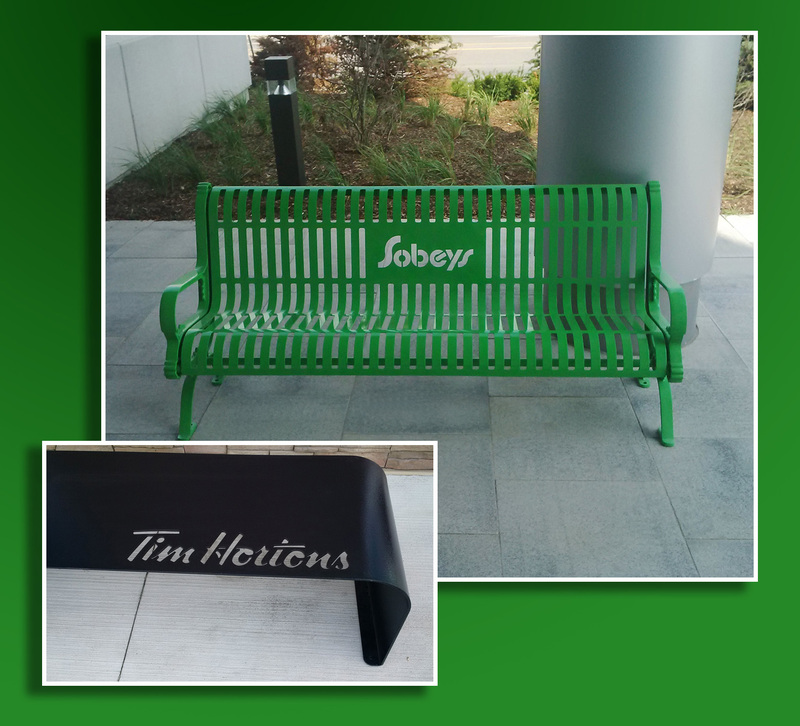 This is an ideal way to bolster branding, remember loved ones with memorial benches or planters, reinforce messaging, build awareness, stand out in a cluttered market, and more. Custom laser cutting is cut into the metal and unlike paint or decals, will not smear, smudge, peel, or chip. These unique products are ideal for retail environments, shopping centers, and businesses, as well as schools, service organizations, municipalities, transit facilities, cityscapes/streetscapes, parks & recreation departments, and more. All Paris Site Furnishings custom laser cut products are manufactured in Princeton, ON and available factory direct or through distributors and dealers throughout North America. 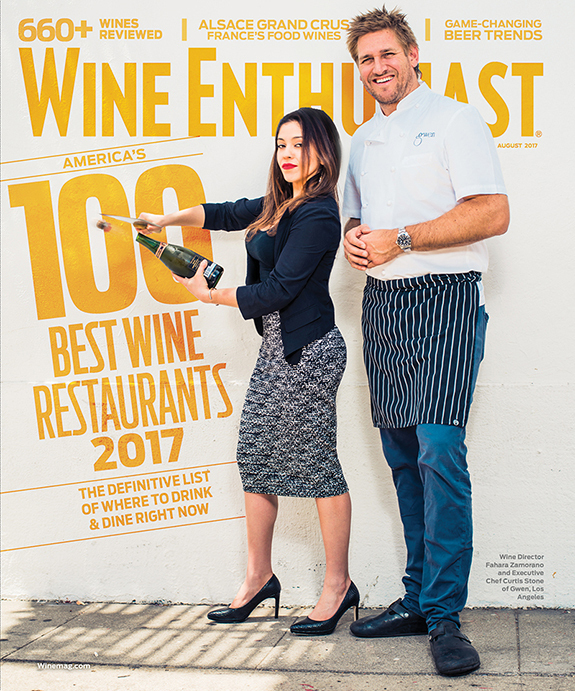 Wine Enthusiast Magazine has released the eagerly awaited 2017 iteration of its annual America’s 100 Best Wine Restaurants list, available online today and in the annual August Restaurant issue hitting newsstands June 27th. Every year, the magazine’s editors search the country for the most dynamic, charming, and innovative wine and food experiences available to create their definitive selection. This curated list spotlights the restaurants that showcase great beverage programs along with notable food, atmosphere, and excellent service. Forty-four of this year’s winning spots are new to the list. Winners include perennial classics in established markets, like New York, Chicago and Los Angeles, as well as fresh dining concepts in up-and-coming markets, such as June’s All Day in Austin, TX; Milwaukee, WI’s Bacchus and Senia in Honolulu, HI. Broken down by trends and special features, this year’s list highlights several of the biggest currents in the dining scene right now. Additionally, the Restaurant Issue allows the magazine to spotlight other notable eateries that are leading the way in the culinary world beyond the classic list. “Art on the Plate” highlights museums housing destination-worthy restaurants like The Modern in New York. “Hotter than Ever” turns up the heat on restaurants including Miami’s Los Fuegos by Francis Malman working magic with open-fire cooking. “Vive La Luxe” offers a look at the renewed appeal of classic fine dining, while “Seitan Be Gone” shines a light on creative plant-based dishes. Additional editorial highlights include exclusive chef and sommelier Q&A’s, and recipes from some of this year’s winning restaurants. In a web-only exclusive, Wine Enthusiast looks northward, with its first-ever “Top 10 Wine Restaurants of Canada” list. BioHiTech Global, Inc. a green technology company that develops and deploys innovative and disruptive waste management technologies, today announces the installation of its Revolution Series Sprout digester in the Food Lab at the Seaport District N.Y.C. (formerly known as the South Street Seaport). The Seaport Food Lab is a restaurant that will feature Master Chefs from across the country for two-week residencies, each giving New Yorka taste of their culinary mastery. The Sprout digester was selected by property management for installation at the Food Lab where some of the top chefs in the country will gain exposure to this environmentally responsible and cost effective solution for the disposal and measurement of food waste. The company expects to install additional Revolution Series Digesters as new restaurants open at the Seaport in the coming months. Industry vets Zack Schwab, Shane Matthews, Brian Shin and Jacob Racusin will be opening The Snug, in the heart of Pacific Heights this fall. The Snug will occupy the former Mehfil space at 2301 Fillmore Street. After years working at some of the country’s top beer bars, including The Jeffrey in New York City and Mikkeller and Monk’s Kettle in San Francisco, Schwab and Matthews were inspired to bring everything they love about the proper neighborhood bar to life with The Snug. Together with partners Shin and Racusin, they are developing one of the best craft beer and cocktail lists in San Francisco and creating an inviting place for people to enjoy inventive takes on classic bar food. Schwab and Matthews will head the beer program, showcasing a rotating selection of beers on 20 taps, in addition to a cask engine serving real ale, and a well-curated selection of bottled beers focused around sours, stouts and strong ales. Local ciders and wines will also be available on draft, and a cellar will house an evolving selection of rare and vintage bottles for true aficionados. Chef Shin (Alinea, Corton, Benu, In Situ) will oversee the kitchen. Having spent years in fine dining, Shin plans on utilizing his experience to develop a menu of inspired bar food that is creative but approachable. Racusin, most recently head of the bar program at The Alembic, aims to bridge the kitchen and bar together with an ambitious yet accessible cocktail program. With a focus on sustainability and seasonality, Racusin will work closely with the kitchen to share ingredients and utilize kitchen byproducts in creative ways. There will be an equal focus on contemporary and classic cocktails, with a strong emphasis on ingredients grown and made in-house. The space will have a cozy living room vibe with a number of nooks to tuck into. These intimate spots are an homage to a “snug,” a sectioned-off area in traditional Irish pubs known for privacy and intrigue. While highlighting some of the traditional aesthetics of the classic pub, The Snug will also take plenty of inspiration from its home city of San Francisco, and provide a warm respite from the wind on Fillmore. Britt Hull of Tide Design Co. is leading both graphic and interior design for The Snug. 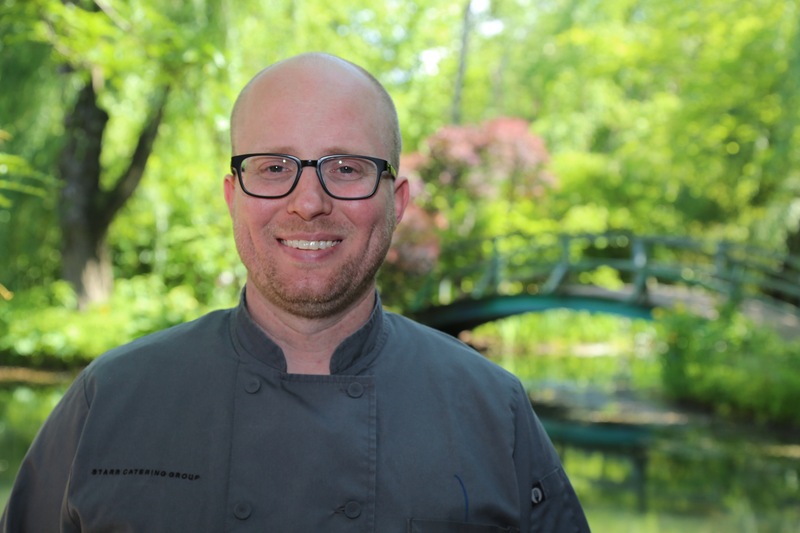 Philadelphia’s Starr Catering Group (SCG) announced that Ed Crochet has been named Executive Chef at Rat’s Restaurant at Grounds For Sculpture in Hamilton, NJ. Crochet will also oversee all of Grounds For Sculpture’s food services in his new role. Crochet’s culinary approach and philosophy has been shaped by his military upbringing with stints in Connecticut, Virginia, Hawaii, Italy, London, Florida, and Pennsylvania. Upon graduation, he quickly rose through the ranks from line cook to sous chef, executive sous chef, chef de cuisine, and finally to Executive Chef. His strong kitchen management skills and leadership have been perfected at renowned New York City cultural landmarks, including Carnegie Hall and Citadel. Since joining Starr Catering Group, Crochet spearheaded creative culinary programs at the custom-designed CNN Grill at the 2016 Democratic and Republican National Conventions and was instrumental in the opening and execution of the group’s Bronx-based Gun Hill Road commissary which serves as the hub for SCG’s New York-based partners and venues. 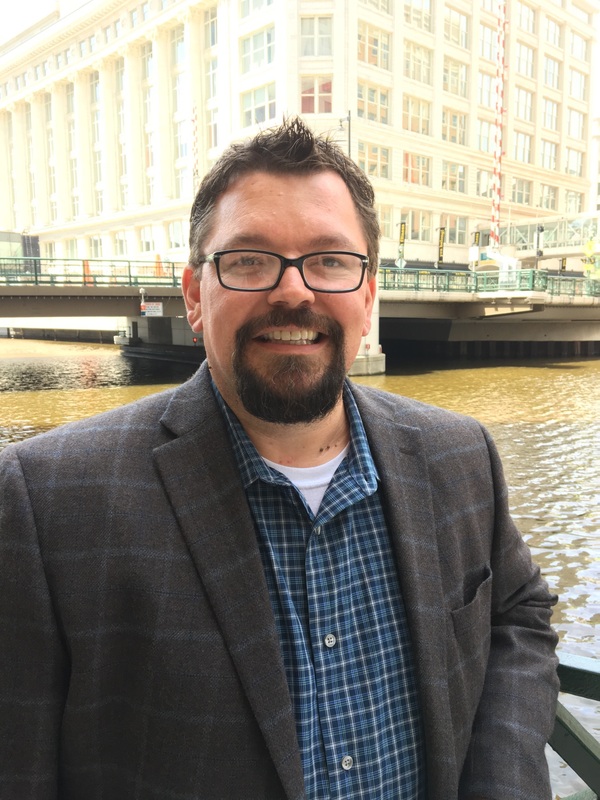 Control, the clandestine organization tasked with establishing and maintaining SafeHouse Restaurants in Milwaukee and Chicago appointed Agent Irish Hammer, a.k.a. Sean Burke, as new corporate director of operations. In his new role as a top operative for the organization, Agent Irish Hammer will oversee operations for both secret SafeHouse locations. Agent Hammer (for short) has been working in the hospitality field as an undercover operative for more than 20 years. In 2001, Water Street Brewery Group recruited him to serve as general manager of Louise’s Trattoria. After many successful missions, he was appointed director of operations for the entire company, overseeing all locations and helping to concept and open new restaurants for the group. Following his time with Water Street Brewery Group, Agent Hammer went “rogue” and opened his own restaurant – Burke’s Lakeside – in Oconomowoc, Wis. He later sold Burke’s Lakeside, and a second restaurant, Burke’s Irish Castle, and joined La Fuente Group as Vice President of Operations before joining the clandestine SafeHouse Restaurants. Since first opening as a secret spy haven in 1966, SafeHouse Restaurant and Bar has covertly operated in Milwaukee under the alias, International Exports Ltd., and become the premier refuge for the world’s undercover elite visiting Milwaukee. This February, SafeHouse Restaurants expanded to a second covert location in Chicago. Diageo Reserve, the luxury portfolio of Diageo, has announced the creation of a new Global Cocktailian role – the first of its type in the industry – in order to forge more meaningful relationships between the Reserve business and the wider luxury industry. 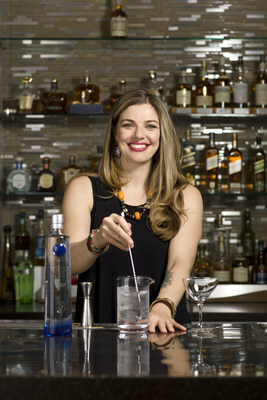 The role will be filled by award-winning Canadian mixologist, educator and industry advocate, Lauren Mote. “Diageo Reserve was founded on breaking new ground and is globally recognised as a benchmark in the luxury industry. Therefore we need to be at the forefront of trends – transcending the drinks category to draw learnings from other categories in order to deliver our vision of making luxury experiences available, accessible and aspirational to everyone,” Diezhandino said. TAGeX Brands acquired the assets of longtime Dallas-based Advanced Auction Company. With the addition of this new auction platform, TAGeX Brands solidifies its position as the industry leader of used restaurant equipment sales using its online auction site, RestaurantEquipment.bid (www.restaurantequipment.bid). The addition of AAC into the TAGeX Brands portfolio gives the restaurant industry increased access to discount restaurant equipment from locations across the country. Access to a central, national and dynamic marketplace of used equipment gives restaurant operators a viable option when it comes to reducing the cost of doing business. Restaurant closures are on the rise and there is an abundance of used equipment in the marketplace. In the past year alone, TAGeX Brands has played a role in the closure and liquidation of over 400 restaurant locations. With the acquisition of AAC, TAGeX Brands will be able to further assist struggling restaurants in liquidating their assets and selling them to new or existing restaurants that need the equipment. As part of the broader Pride Starts Here campaign, the Beer Institute—a national trade association representing brewers, beer importers, and industry suppliers— launched the Faces of Beer webpage showcasing a wide array of beer industry employees and how they personally help grow, create, produce and deliver quality beers across the U.S. In addition to the nearly 65,000 Americans directly employed by brewers and importers and the more than 134,000 Americans working for beer distributors, countless other supplier jobs are intertwined in the beer industry. One job in the brewing industry generates 33 additional jobs in more than a dozen other industries, including farming, transportation, packaging and equipment manufacturing, marketing and advertising, and retailing—according to the 2017 Beer Serves America study.